Celine Beaufort was an ordinary girl. She did ordinary things, On ordinary days, In ordinary ways. 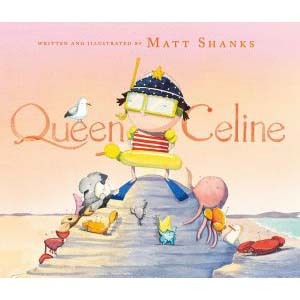 But every now and then, Celine was a Queen, Of a kingdom by the sea. Celine Beuafort is queen of what she is quite certain is the most beautiful rock pool in the world. It’s perfect. And to make sure nothing ever changes, she decides to build a wall around it. Unfortunately, that turns out to be a royal mistake. As self-proclaimed ruler, it’s up to Celine to right her wrong and restore her rock pool to its former glory.